A burst pipe on the roof of a New York City hotel on Monday forced 600 guests to evacuate, according to NBC New York. Don’t let this happen to you. Inspect any pipe or piece of equipment that’s exposed to the cold, especially your roof tanks. Plunging temperatures across the country make it much easier for a small leak to quickly turn into a disaster like we see here. I don’t know the specifics of this situation, but I do know that proper routine inspections are especially important when temperatures drop like this. I’m sure that most of you have already checked your equipment, but when I hear a story like this, it bears repeating. Routine inspections are vital to preventing weather-related issues. It’s much better spend a bit more time on prevention than deal with the fallout that’s sure to come after a major event like this. Get out on your roof and in front of your equipment. Next week, I’ll have a whole post on Freeze Rounds that will go much deeper into what you should do when temperatures fall. 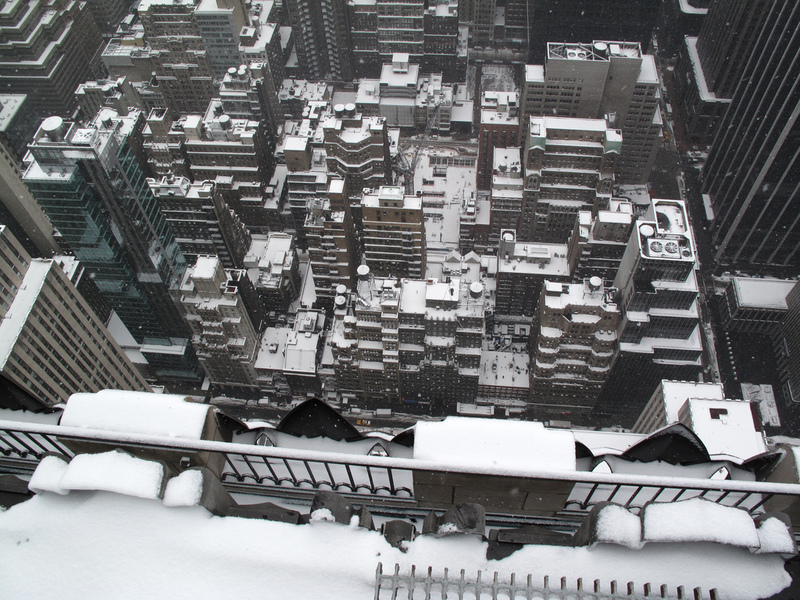 Image: “Top of the Rock” by Patrick Stahl, used via Creative Commons license. Thanks Shawn. This helped me the other day. My tank almost froze.